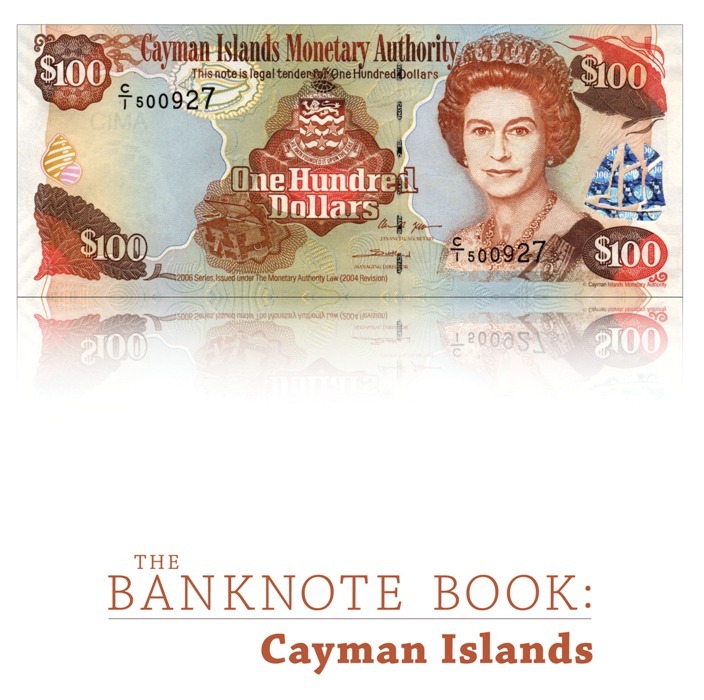 This 14-page catalog covers every note (65 types and varieties, including 1 note unlisted in the SCWPM) issued by the Cayman Islands Currency Board from 1971, and the Cayman Islands Monetary Authority from 1998 until present day. 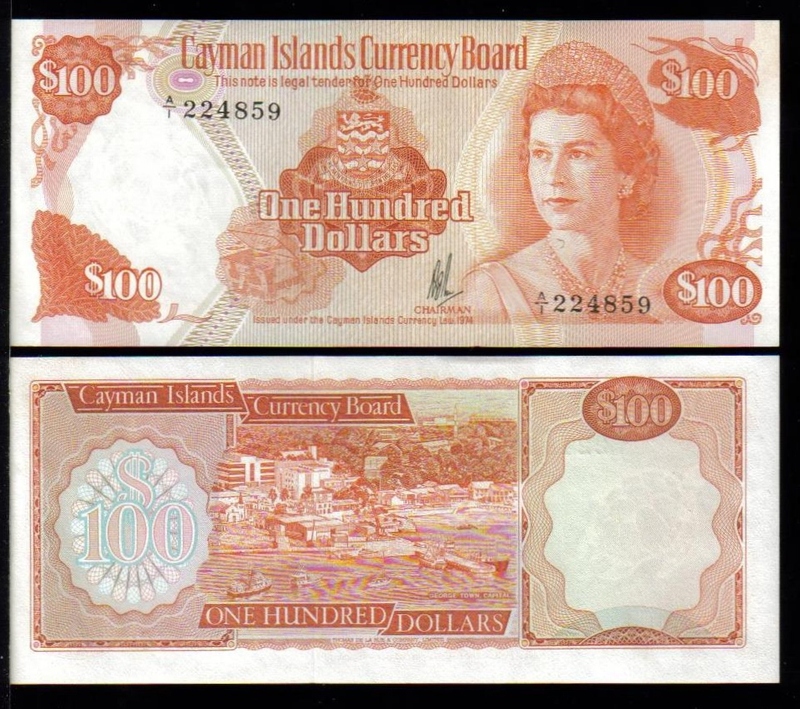 $1, 1998 date. 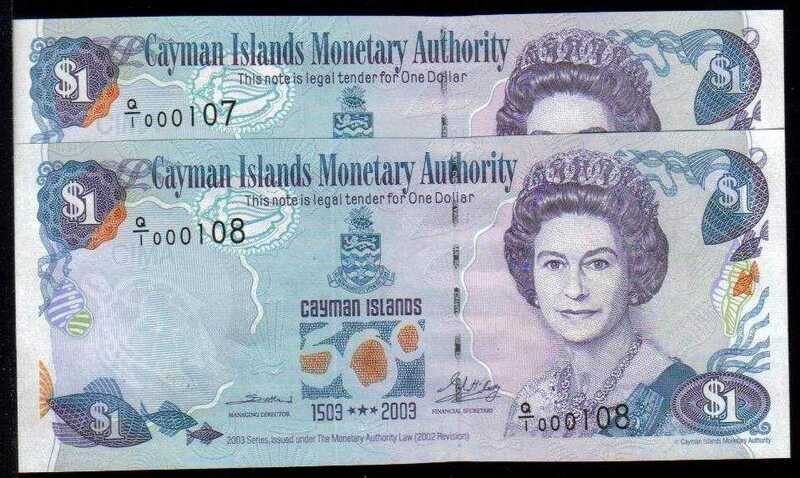 Matching Serial numbers. 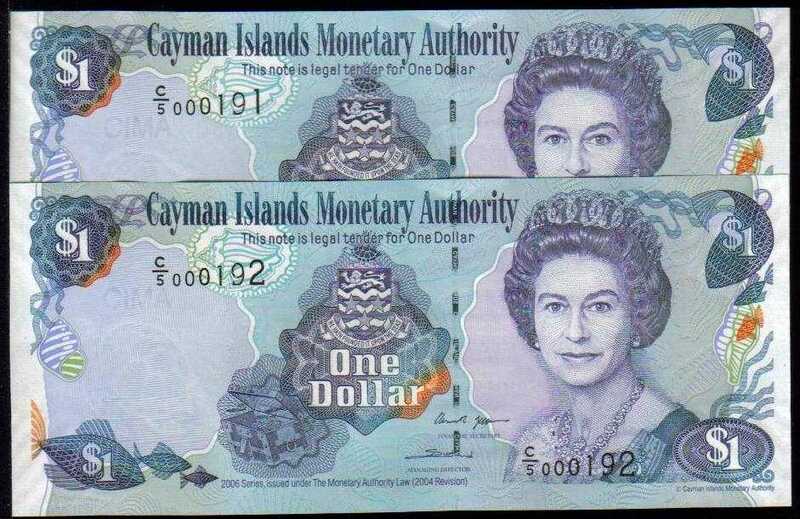 Two notes both with Serial #000138, one is Prefix C/1, the other; Prefix C/2. Very unique and interesting matching numbers. 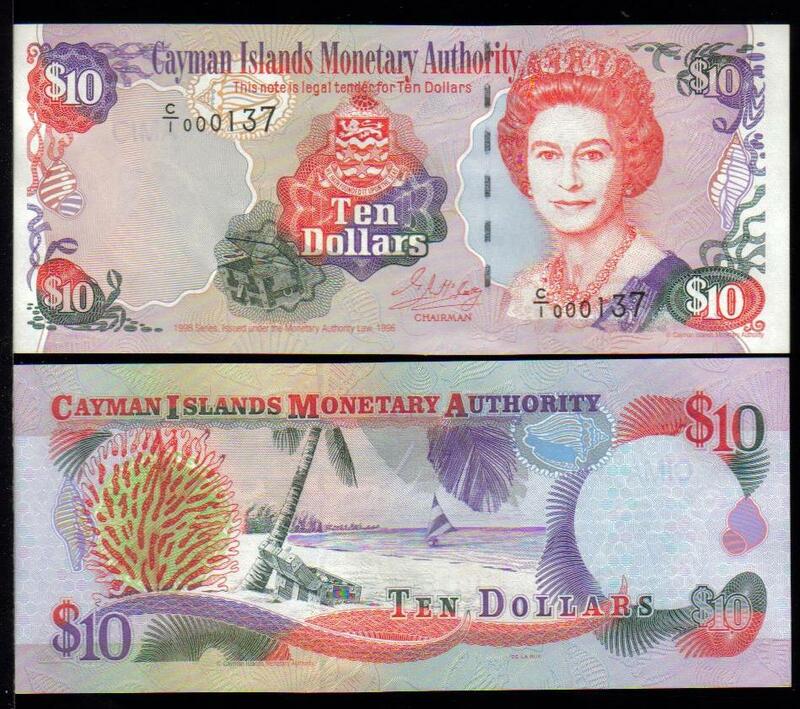 $10, 1998 date. Prefix C/1, Low serial #000137, or 000139. $5, 2001 date. Prefix C/1. 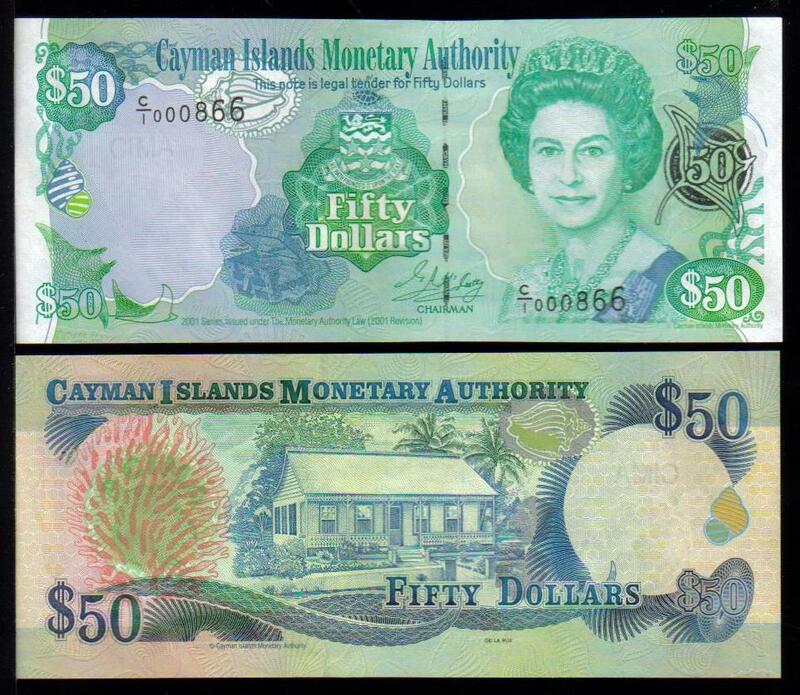 $50, 2001 date. Prefix Z/1. UNC, $1, 2003 date. Special Q/1 prefix for Quin-centennial celebrations. 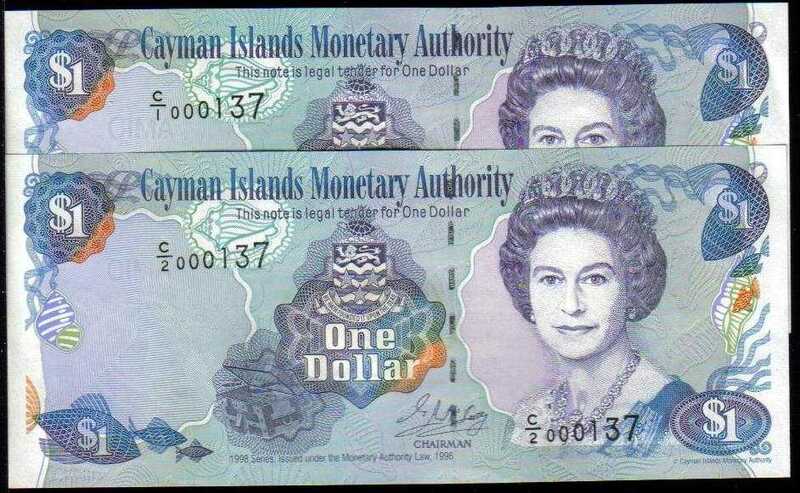 $1, 2003 date. This special Folder contains Pick 30, with lucky low serial #000096. 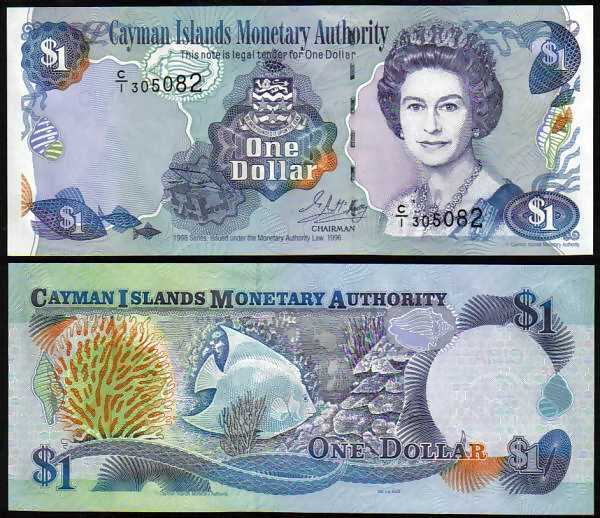 $1, 2003 date. 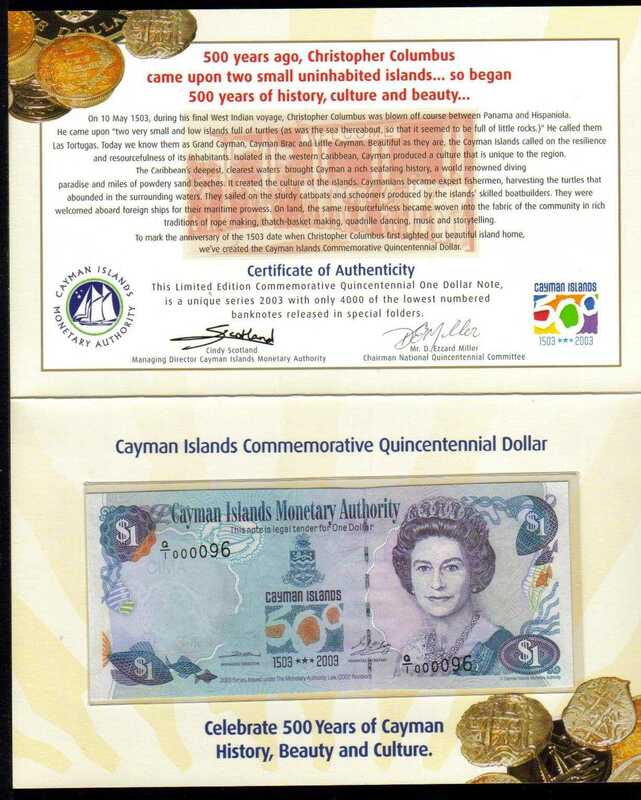 Special Q/1 prefix for Quin-centennial celebrations. 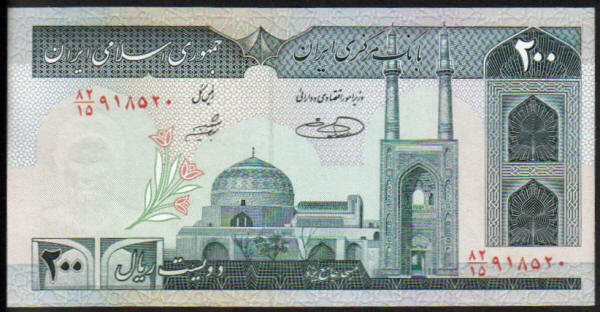 Available serial numbers are: 000027, 000082, 999441, 939106. 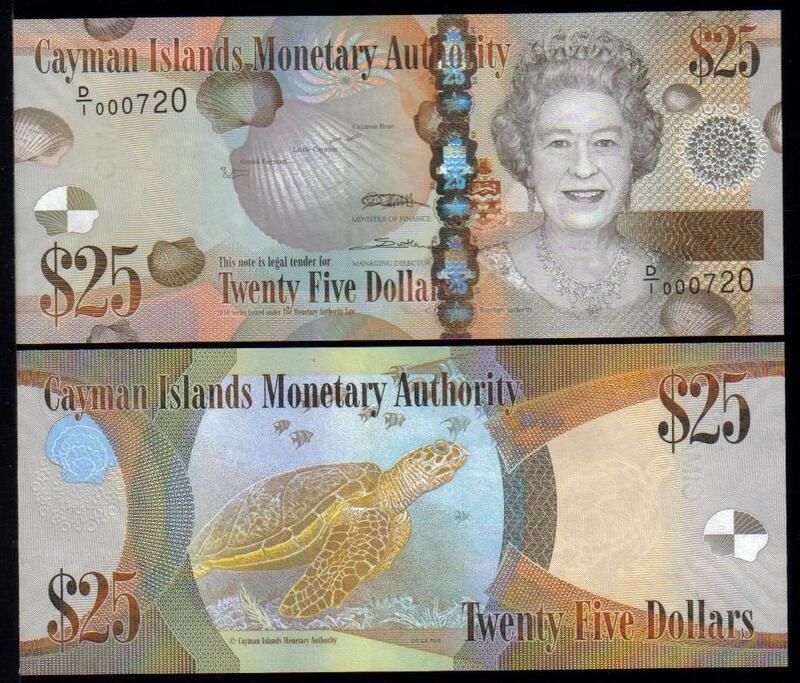 $25, 2003 date. Prefix C/1. 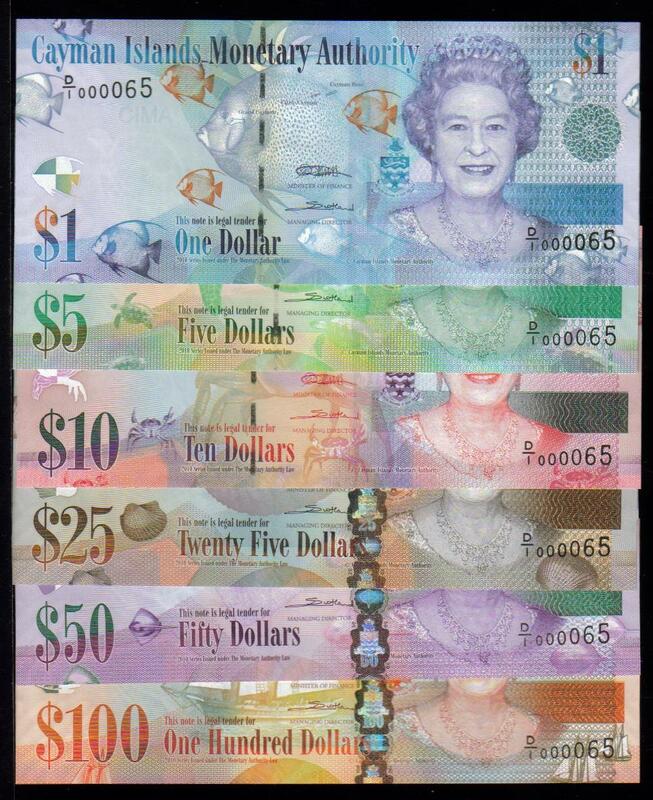 $1, 2006 date. Prefix C/4. UNC, $1, 2006 date. Prefix C/5. Low Serial #000191 and #000192. 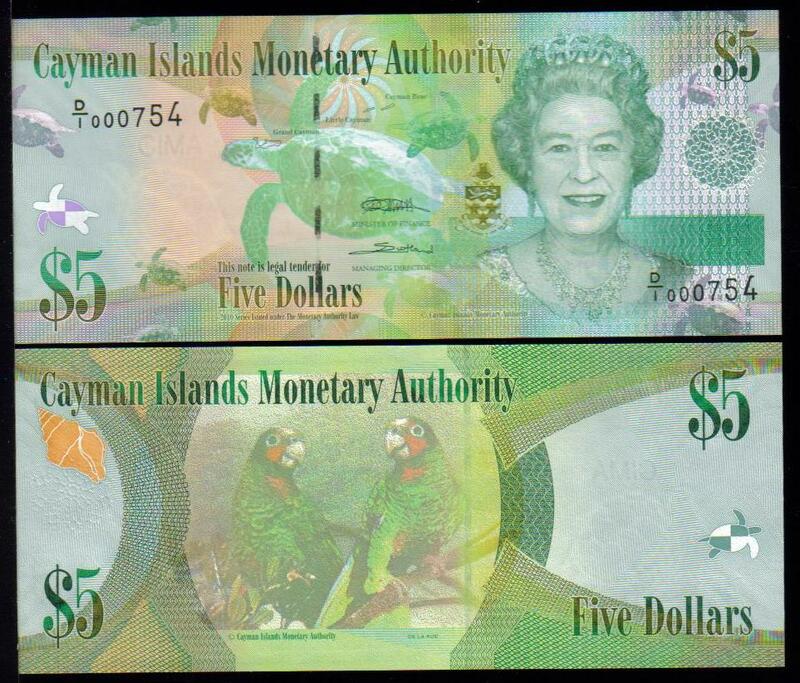 $5, 2005 date. Prefix C/1 , Serial #852324 or 852325. 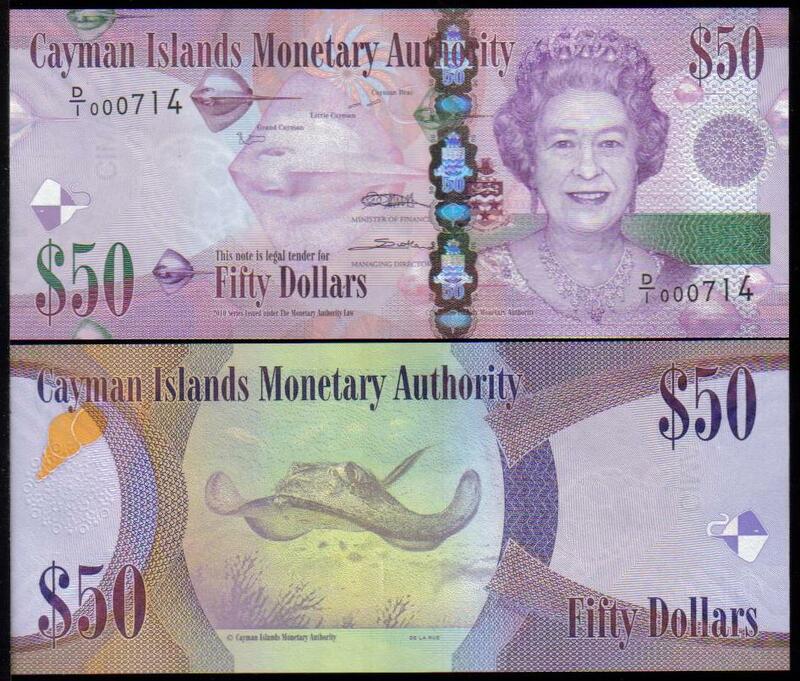 $5, 2005 date. Prefix C/2. 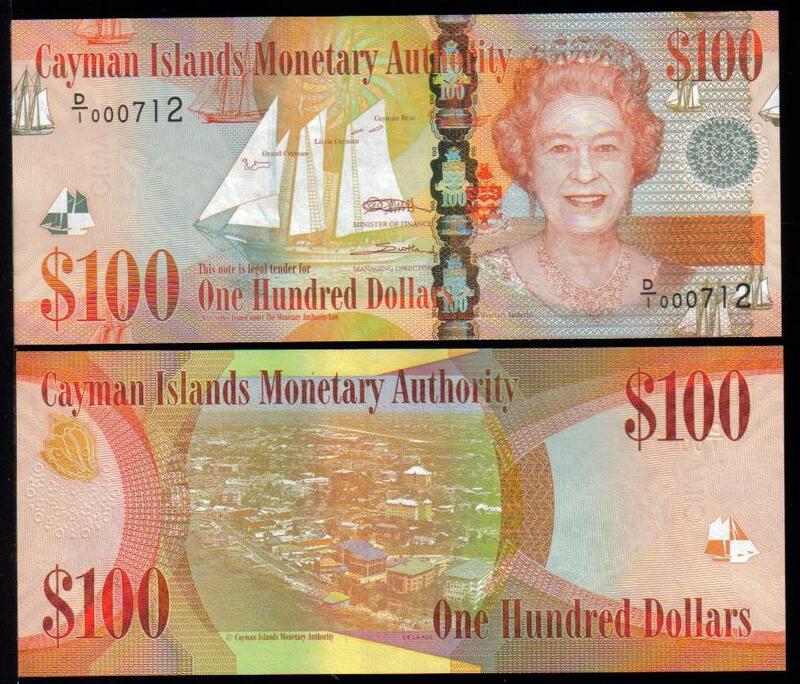 $10, 2005 date. Prefix C/1. 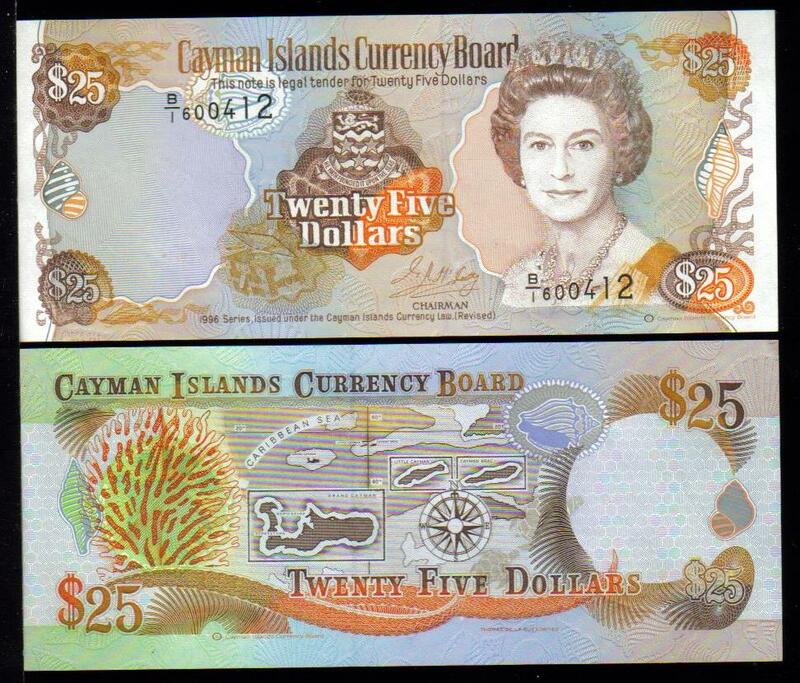 $25, 2006 date. Prefix C/2. Low serial #000302 or #000303. 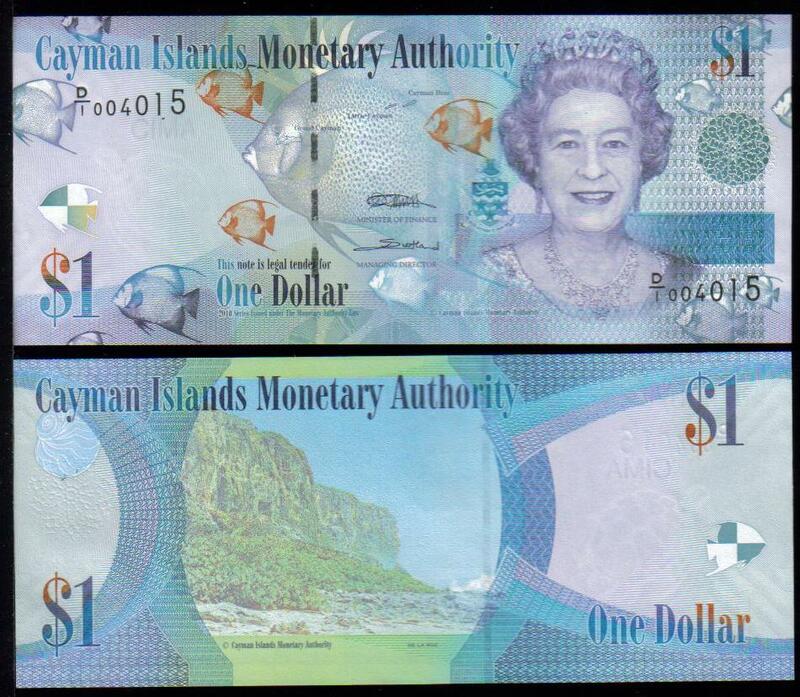 $1, 2010 date. Prefix D/1. 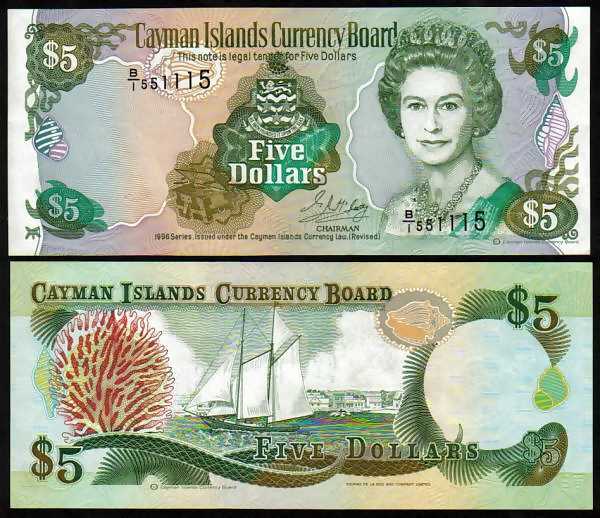 $5, 2010 date. Prefix D/1. 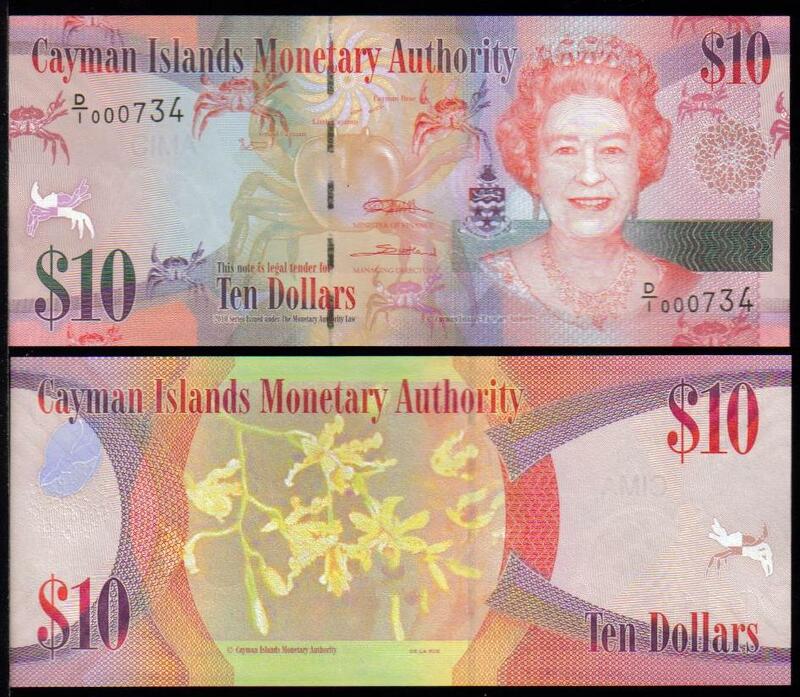 $10, 2010 date. Prefix D/1. 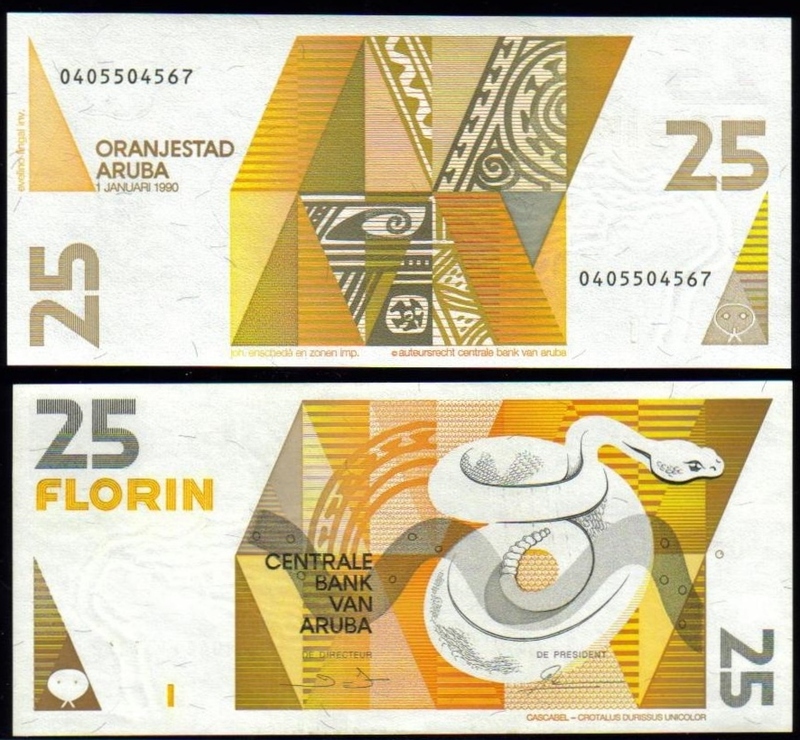 $25, 2010 date. Prefix D/1. 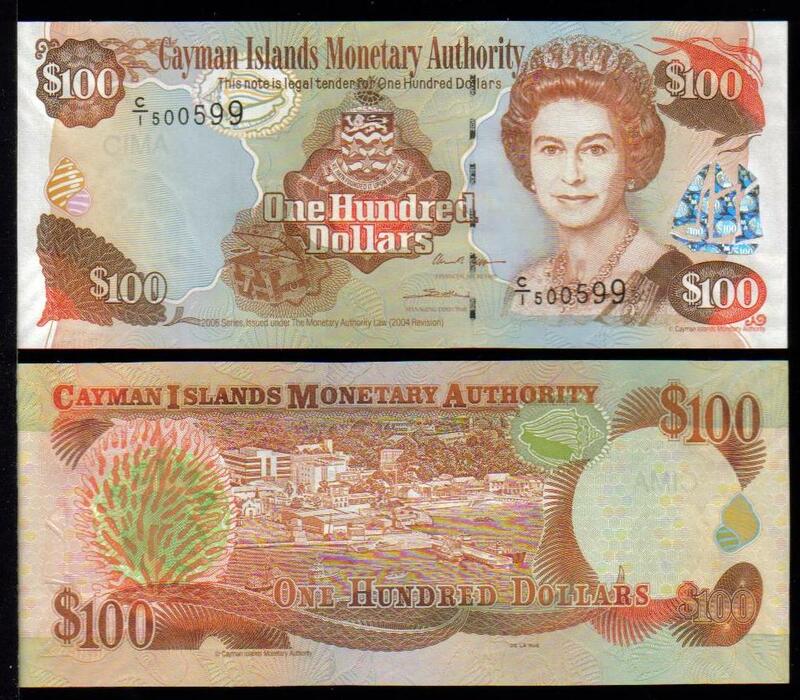 $100, 2010 date. Prefix D/1.